Moving forward, BlackBerry will no longer issue monthly security updates to the PRIV, the company announced on Thursday. “When we introduced our first Android device more than 24 months ago, we committed to delivering 2 years of monthly software updates for the PRIV,” writes BlackBerry’s Alex Thurber over on the company’s official blog, Inside BlackBerry. If you’re a current PRIV owner, it’s not all bad news, however. Thurber promises BlackBerry will still push updates for any critical vulnerabilities, should they be discovered. Moreover, he says BlackBerry is committed to fulfilling any warranty obligations. 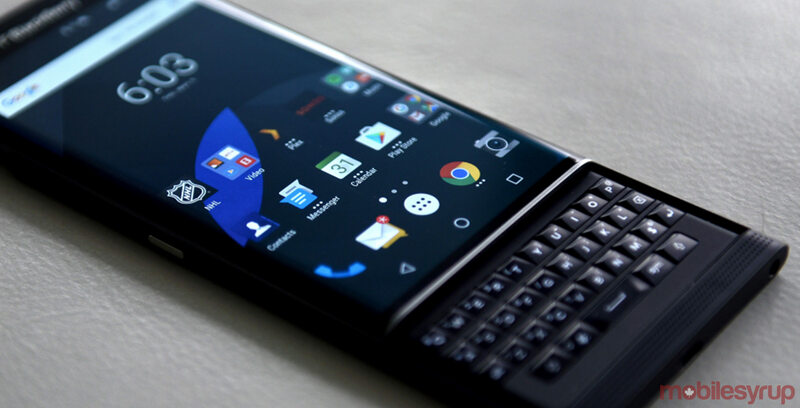 In addition, BlackBerry Mobile, the company that currently owns the license to manufacture devices under the BlackBerry brand, has struck up a partnership with BlackBerry to offer current PRIV owners, as well as those using older BB10 and BBOS devices, a chance to upgrade to a BlackBerry KEYone or Motion via a new trade-up program. The company will share details on the program at a later date. Speaking of BB10 and BBOS devices, in a separate post, Thurber says the company will continue to support both BB10 and BBOS for at least two additional years. However, the company will shut down certain services, including the BlackBerry World app store, the BlackBerry Travel site and Playbook video calling service over that time. The app store will continue to operate until the end of 2019.